William Hill promo code brings you up to €30 in registration bonuses on the sports betting section. Check details below for bet bonus codes and bonuses available at William Hill. *Bonus T&Cs apply. 18+. New users only.When you place your first bet of £10/10€ or more we will give you 3 x £10 free bets. You must stake a minimum of £10/10€ on your first bet, after depositing on the sportsbook for the first time. Your first bet must be placed on a selection(s) with single/cumulative odds greater than 1/2 (1.5). Registering and getting your William Hill bonus is simple as following the above steps. Simply click on “Activate Bonus Code”, and register in new window using the stated William Hill promo code here. The bonus code can be used on the pointed field as presented in the registration form below. William Hill has a long and solid background as a bookmaker and started the business already in 1934. Company is registered on the London Stock Exchange and has over 15 000 employees in countries like the UK, Ireland, Israel and Bulgaria. In addition to the online business has 2,300 betting shops across the British Isles. William Hill is active in 175 countries, with a website in 25 languages. The games offered by William Hill’s casino platform are Texas Holdem, Omaha, Omaha Hi-Lo, Seven-Card Stud, Seven-Card Stud Hi-Lo and Five-Card Stud. William Hill Poker also offer high stakes blackjack and other casino games and sports betting.Is much more focused on classic British sports and games such as horse racing, cricket, rugby and snooker. But William Hill has also odds on major sports like football, golf and tennis. With the William Hill bet bonus promo codes above, new users can test betting on any of these sports. Usability is good. Clarity and simplicity seems to be the motto of William Hill and its employees. The format differs somewhat from bookmakers we are used to, but after a time William Hill feels quite logical. Customer service is very good and is open around the clock by phone and email. 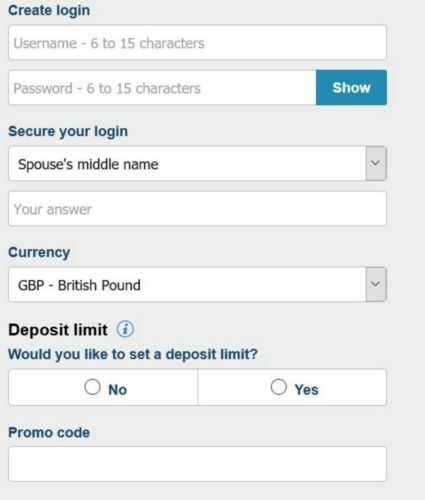 Please note that above bonuses are provided to British users. If you’re living outside UK, you may want to check the list of William Hill promo codes for Europe & International users. No problem to deposit and withdraw money at William Hill. They offers the following payment methods: VISA, Solo, Laser, Visa Electron, MasterCard, ClickandBuy, Moneybookers, Check, Wire Transfer, Neteller and Ukash. Take control of your bets: William Hill offer you the opportunity to start taking control of your accumulators. The promotion is available on single and multiple bets placed in tennis, basketball, boxing, darts, cricket, football, snooker, golf and baseball, including In-Play. Check promo validity & expiration date. New users at William Hill will receive up to €20 bonus on first bet on William Hill website. That is a total of €20 in sports betting bonuses for new registrations using the promo code for William Hill listed above. Betting Views © 2019. All Rights Reserved.